TIRED OF FEELING LIMITED BY ALL THAT’S GOING ON IN THE WORLD? GO FURTHER BY TRANSFORMING THE CREATOR WITHIN. 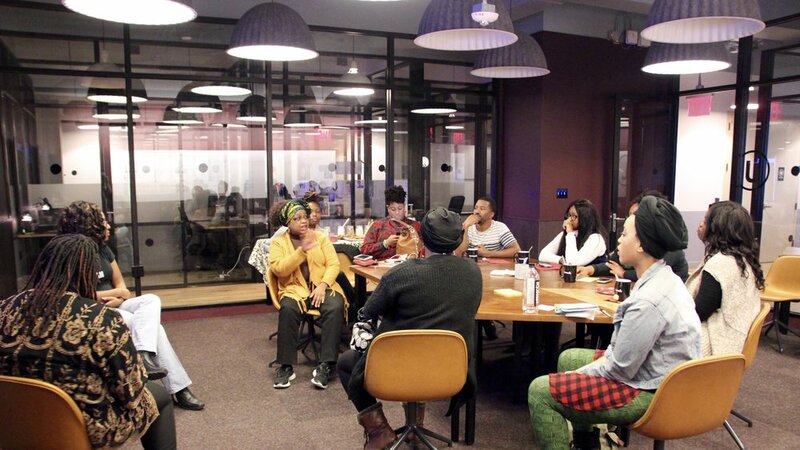 As the premiere network for innovative Professionals of Color, I Am A Creator offers creative workshops, services, products, and a diverse community to give our Creators a safe space to explore their creativity and integrate it into their everyday life. We provide programs and events directly to our members, organizations, and the public to fulfill our mission helping People of Color realize their full creative potential. We provide custom workshops and events to companies in order to shift the mindsets of teams around creativity and diversity -- a strategic investment in human capital that can transform organizations. Join us each month for our in-person public events in the Washington, D.C. area. We host salon-style discussions, creator exhibits, and workshops that the benefit us as Creators as well as our wider community. "Taking a moment to shout out the I AM A Creator team. Last night was POWERFUL on so many levels. Just as powerful as the conversation was our presence. We didn't let the day's events [Charlottesville protests] stop us from being unapologetically black, attending to our needs, and sharing our stories. It was beautiful." "This marks the closing of a fun chapter in the story of our company. We are delighted with I Am A Creator's overall service, as a result we are move confidently into our marketing campaign. You have our thanks!" "So proud and appreciative to be in the presence of young people, particularly young women, who are thinkers and doers. Left this gathering hopeful about all the information shared and collaborative process. As one young lady said, 'It is part of our DNA.'"